This is a really tasty side dish from food guru Yotam Ottolenghi in his Easy Ottolenghi series in The Guardian. For a change he’s cut back on his usual long list of ingredients! Heat the oven to 220C/425F/gas mark 7. Put everything bar the parsley in a bowl with a teaspoon and a half of salt and a good grind of pepper. 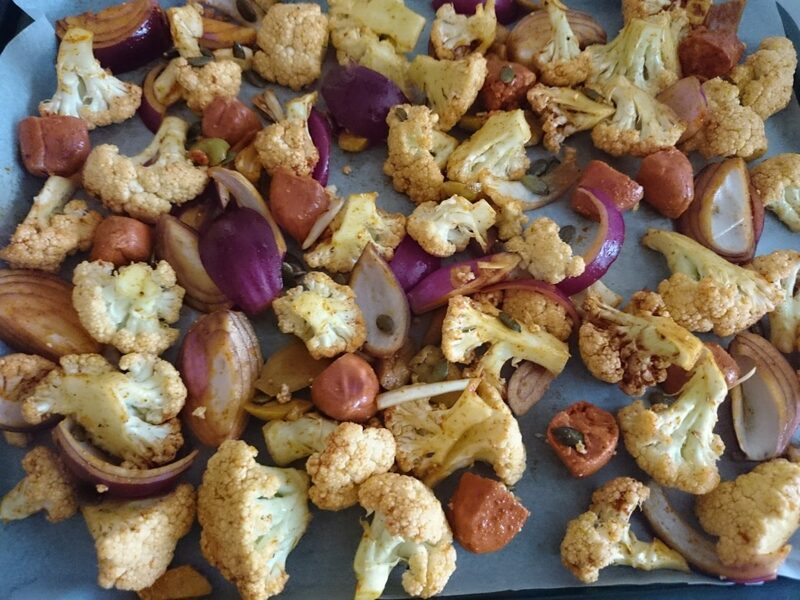 Mix well to combine, then spread out on a 30cm x 40cm baking tray lined with greaseproof paper. 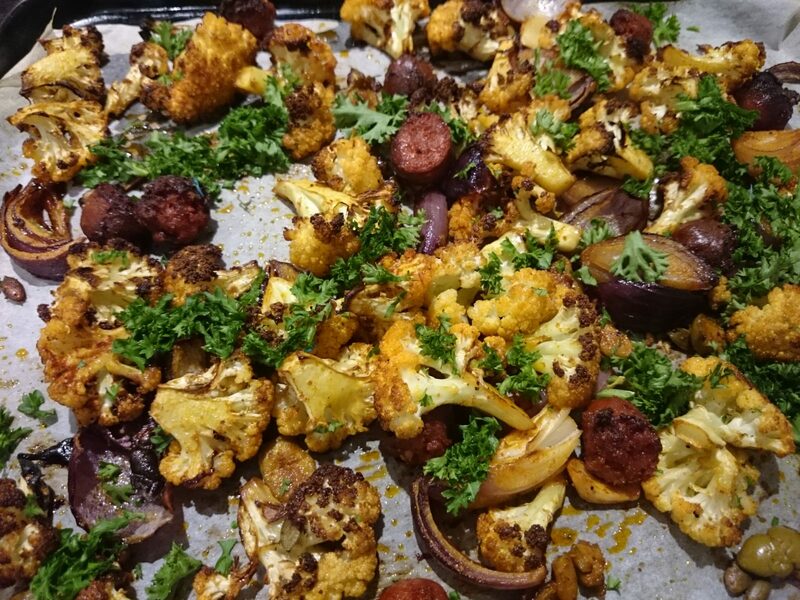 Roast for 25-30 minutes, stirring gently halfway through, until the chorizo is cooked and the cauliflower is soft and browned. Leave to cool down for about 10 minutes, stir in the parsley and serve.